If you have a young child, it’s likely the tooth fairy has paid a visit to your house, perhaps leaving a few dollars in exchange for their pearly white! At Willsmere Dental we feature our own team of tooth fairies who visit local children’s centres to spread the word about proper oral hygiene. Read one or two storybooks about oral health to the children. Present posters with proper oral health tips for brushing and demonstrate oral health care on a large model of the teeth. Teach the children a fun song about brushing their teeth. At the end of the visit, they’ll give away “goodie bags” filled with prizes, information, stickers, balloons and colouring activities! Recent research has shown that nationwide many children are experiencing tooth decay and losing teeth earlier than they should be. 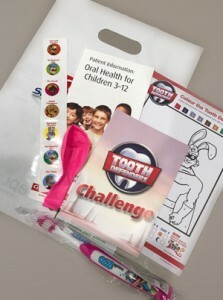 We want to make a difference by educating children and their parents about the importance of preventative oral hygiene. That’s why we love to send out our tooth fairies to promote healthy oral habits such as brushing and flossing. Doing so is a terrific way to engage with many local families and make a difference in the outcomes of children’s dental health. If you would like one of our Kew tooth fairies to visit your kindergarten school or children’s centre, please fill out the form below, and we will get back to you as soon as possible! To be eligible for the CDBS, children must be between 2-17 years of age and their family must receive Family Tax Benefit Part A or a relevant Australian Government payment. The CDBS provides up to $1000 in benefits for basic dental services including screenings, X-rays, cleaning, fissure sealing, fillings and more. Services can be provided in a public or private setting. Families can check if their child is eligible for the CDBS by contacting the Department of Human Services.